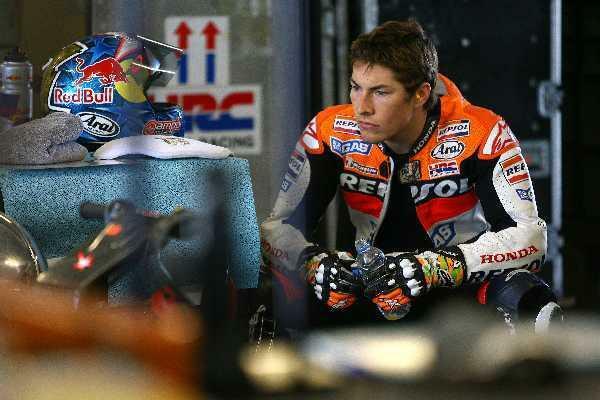 Reigning world champion Nicky Hayden battled a front-end grip problem with his new factory Honda RC212V to finish sixth fastest in Australia today. Hayden was frustrated and disappointed with his best time of 1.30.61 in a long 91-lap stint today, but some relief came with the American revealing his troublesome shoulder is getting stronger. Hayden underwent surgery in November to repair a broken collarbone he picked up in Estoril when team-mate Dani Pedrosa crashed into him. Talking of the shoulder he said: “It’s alright. It’s different at this track because there is not so much hard braking, so I thought it would be easier." On his second day performance he said: “I got some pretty big worries with the front which I didn’t have in Malaysia."